I’ve been trying to include more vegetarian dishes into our diet and here’s one of them. I’ve used the same spices as the chicken korma recipe but have substituted the chicken with sweet potato. Also, unlike the chicken version, I’ve managed to fit everything into the Thermomix bowl so there’s less cleaning up to do! 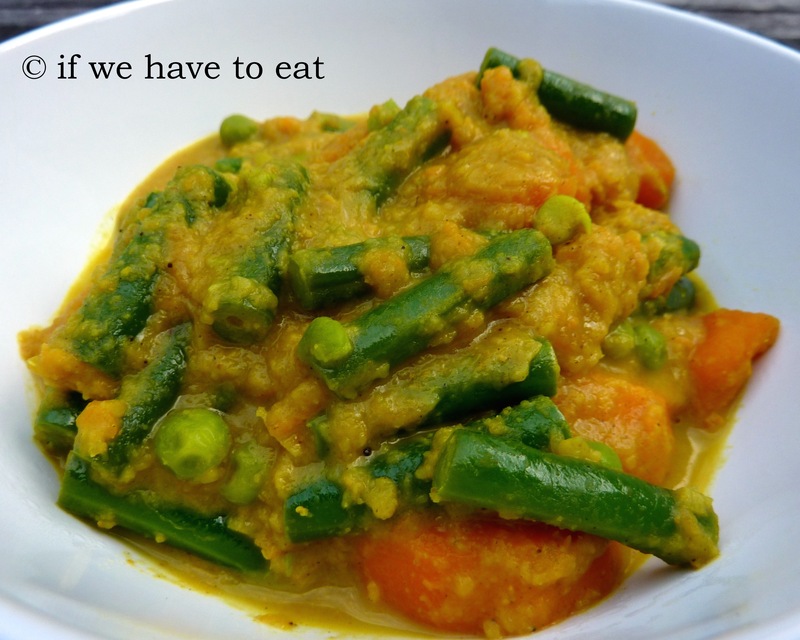 This entry was posted on December 14, 2014 by ifwehavetoeat in Mains and tagged Curry, Mains, Make Ahead, Recipe, Thermomix, Vegetables.